This Crazy Life...Michelle Underwood Designs: **CLOSED**Trendy Bendy Giveaway! I think all of you know that I can't get enough of the interchangeable watch bands! When I saw Trendy Bendy I was in love! You have to see the super fun designs! The use of color, beads and charms....Oh my! Each watch is a piece of art! Now, how about a little info about the owner and creator, April May. Yes, her name is April May, she has a super funny story to tell about that! I think you will find her as interesting as i do! My name is April May (yes, really)--married into May. He refused to tell me his last name when we first dated until I assured him it didn't matter because I was never getting married. We were married 9 months after that conversation! I have been absolutely blessed with two miracle kids. After being told ten years ago I couldn't have children I decided to try in vitro three years ago as my corporate job was willing to pay for the majority of the expense. We figured we would give it one shot and pray and pray. Well, my sweet son was born 9 months later after our first try. I have been able to stay home with my son and decided last year we really wanted to try and have at least one more child. Unfortunately, living off one income we could not afford the expense of in vitro again. So, I started TrendyBendy. The business took off and because of that as well as my husband's sweet grandma's generosity--my daughter was born three months ago. Again, on the first try -against all odds and with a lot of prayers. We knew this was our last shot and have been so blessed. Now, I continue the business so I can stay home with my babies and because I LOVE IT! It is my creative outlet- my beads are taking over our basement and my 2 1/2 year old can bead with the best of them. (He is also my official sorter). I have customers who send me pictures of outfits to match or antique beads from their grandma's old broken necklace. I love creating new designs and have had many people tell me their watch bands save them money as they don't buy new clothes now they just put colors together to match their bands that they would not have thrown together before. They are fun gifts and I love doing special requests. April sent me the most lovely watch band ever! With fall here, I wanted something that would match my outfits, the season and my mood. 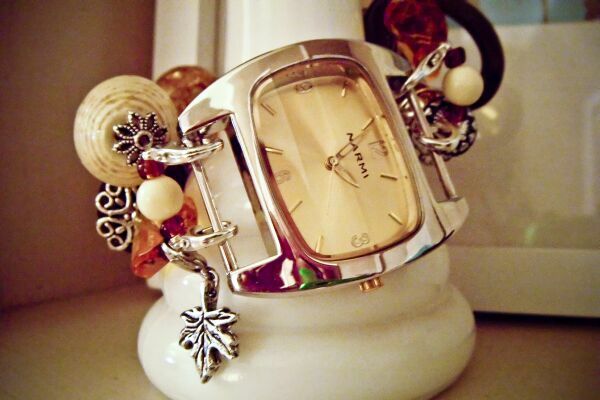 This watch is perfect. I can't even tell you how many compliments I have already received already. It is a stunning piece of jewelry. It's chunky and gets noticed. Tell me you love it as much as I do! Starter set- One face, Halloween band, and another band of your choice. WOW! Buy 4 watch bands get one free! Go to TRENDY BENDY and tell me what you would love to have! 1 entry- Follow TRENDY BENDY blog! love this giveaway. one of my favs - Emma Interchangeable Beaded Watch band. I'm so jealous, April May (what a delightful name, well done May, lol! )gave you the most lovely watch band ever! 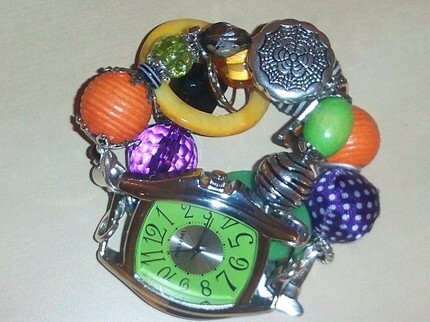 I also like the Emma Interchangeable Beaded Watch Band, the colors contrast is really gorgeous. I already follow via google friend connect. I voted on the Picket Fence Blog! 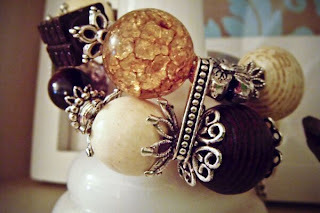 My fav is the Melanie Beaded Watch Band! I love the Morticia Halloween Watch Band! I would want the exact one as you. It is perfect for fall. I l.o.v.e. the Emma band!! 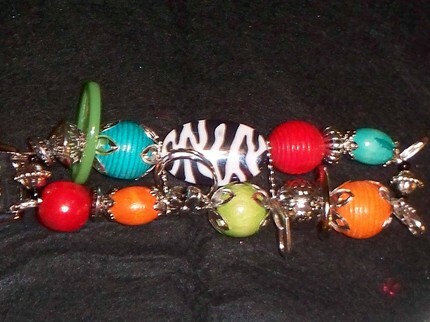 I love the emma interchangeable band! Oh my Goodness!!! I've been looking at these watches for almost year now. 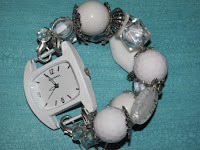 I would love to win the Aubry Interchangeable beaded watch band. Thanks so much for the AWESOME giveaway!! I love the Bailey Interchangeable Watch Band! Well, I would love any of the beads with the polka dot watch face with any of them, but the Bella 2 Interchangeable Beaded Watch Band is a great combo! I LOVE the Melanie (http://www.etsy.com/listing/55760061/melanie-beaded-watch-band) ... I noticed it immediately at the top of your post! I follow Trendy Bendy Design via GFC! Hi! I would love to have Lexus Watch Band!!! Cutie!!! I like the Crystal Interchangeable Beaded Watch Band. I entered MD Sparks Giveaway. Enter me please!! 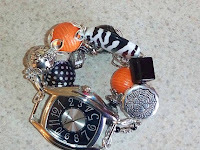 I love Luverne Interchangeable Beaded Watch Band. I like the Claire watch band. Come on!! April May is a kewl name!!! I like the Betty beaded watch band. 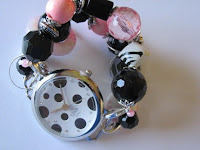 I love the Amy Interchangeable Beaded Watch Band. I entered the MD Sparks giveaway. 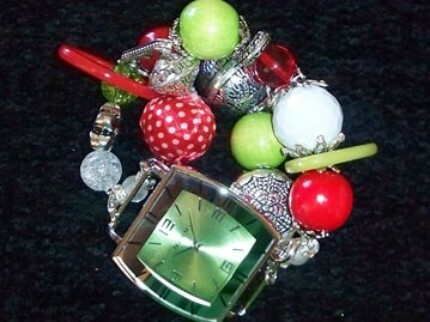 My favorite is the Emma Interchangeable Beaded Watch band. These are very nice! I love the Briana Interchangeable Watch Face. 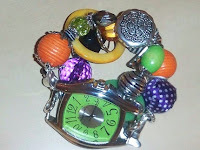 I would love the Nikki Interchangeable Beaded Watch Band. I love the Lexus Watch Band. I like the Kinley Watch Band. I like the Aubrey Interchangeable Beaded Watch Band and Elphaba one! Thanks! I voted on TMB today! Voted for you @ Top Mommy Blogs! 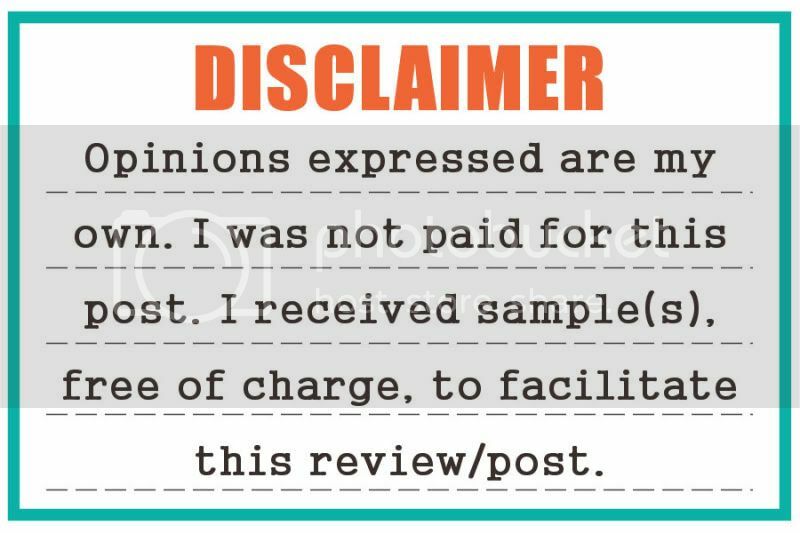 Daily vote on Picket Fence Blogs. April May is pretty much the coolest name ever! I love the Crystal Beaded Watch Band! !